The Cincinnati Bengals are 0-2 and without a touchdown this season, so offensive coordinator Ken Zampese has been fired. The Cincinnati Bengals fell to 0-2 with a 13-9 loss to the Houston Texans Thursday night, and they have yet to score a touchdown. Quarterback Andy Dalton his not going to be benched at this point, but according to Ian Rapoport of NFL Network offensive coordinator Ken Zampese has been fired. Zampese had worked for the Bengals under head coach Marvin Lewis since 2003, first as quarterbacks coach from that year through 2015 then as offensive coordinator when Hue Jackson left for the Cleveland Browns’ head coaching job. Multiple players, most notably wide receiver A.J. Green, expressed frustration with the offense after Thursday night’s game. In Zampese’s place, quarterbacks coach Bill Lazor will take over as Bengals’ offensive coordinator. The Bengals let their top two offensive lineman, left tackle Andrew Whitworth and right guard Kevin Zeitler, leave in fee agency last offseason. 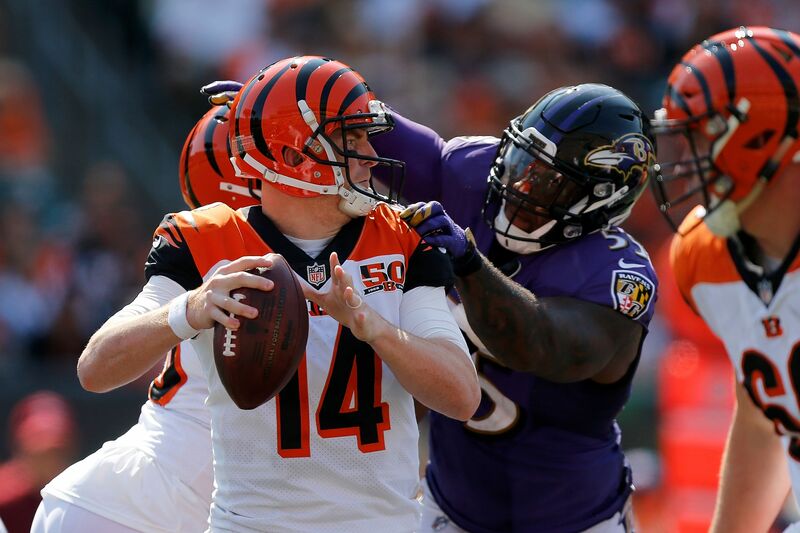 Woes in pass protection have not helped things, as Dalton has been sacked eight times in two games and clearly appeared off-kilter throughout Thursday night’s game. Even considering his poor track record in prime time games Dalton was not himself, as decidedly average as that has usually been, against the Texans. Lazor spent two seasons as offensive coordinator (2014-2015) for the Miami Dolphins, but he has been a quarterbacks coach in the NFL for the Washington Redskins (2006-07), Seattle Seahawks (2008-09) and Philadelphia Eagles (2013) as well as the Bengals. Lazor’s primary tasks as the Bengals’ new offensive coordinator are clear. Getting Green the ball more, finding a way to deploy rookie wide receiver John Ross and settling on something close to a lead running back are at the top of the list. But second-year wide receiver Tyler Boyd had just one catch in Week 1 (on four targets) and he was a healthy scratch on Thursday night. That seems like an inexplicably phasing out, unless he’s actually dealing with an injury, after Boyd had 54 receptions as a rookie. If Cincinnati’s skill position players are put in better position to succeed, improvement from Dalton should follow. But the Bengals’ offense can’t get any worse, and the next coach fired will surely be Lewis once the season ends.